It looks like a lot of Amazon's (NASDAQ: AMZN) 100 million-plus Prime members are going to see a slightly higher credit card bill this summer. Amazon CFO Brian Olsavsky made a surprise announcement during the company's first-quarter earnings call that it will start charging $119 per year for Prime in the United States, up from $99 per year. Amazon recently increased the monthly subscription price for Prime to $12.99 from $10.99, a similar percentage increase. "The value of Prime to customers has never been greater. And the cost is also high, as we pointed out especially with shipping options and digital benefits, we continue to see rises in costs," Olsavsky told analysts. "Prime provides a unique combination of benefits, and we continue to invest in making this Prime program even more valuable for our members." 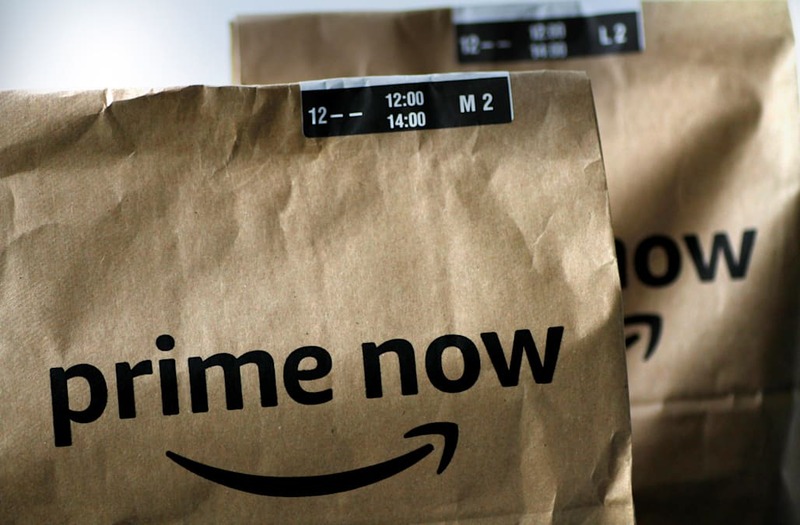 With all of the increased benefits for Prime over the last four years since its last annual membership price increase, it's doubtful Amazon will see a significant uptick in cancellations. The increase is more than justified, and it should provide a nice boost to Amazon's bottom line. Amazon is seeing some of its costs associated with Prime skyrocket. Most noticeable is the company's fulfillment line item. Fulfillment expense increased 66% year over year in the first quarter to $7.8 billion. That's a meaningful acceleration from the 57% increase in the fourth quarter, and the 43% increase Amazon saw for the full year last year. That number also outpaced revenue growth in Amazon's online stores of just 18% and growth in third-party seller services of 44%. It even outpaced the 60% growth in subscription services revenue, which includes Prime memberships as well as other subscriptions like Audible and Music Unlimited. Fulfillment costs are the result of building out more warehouses to store the 100 million products that are currently eligible for Prime shipping. Amazon is also building out its own delivery fleet and services to supplement delivery from the usual carriers. It's offering faster shipping speeds -- next day and sometimes same day -- on everyday products for no additional cost. Amazon is also spending heavily on video content. The company spent an estimated $4.5 billion on non-sports video content last year, and that number ought to climb higher this year. Amazon just locked up two more years of Thursday Night Football for an undisclosed amount, but it paid $50 million for the rights last year. It also spent $250 million for the rights to produce a show based on The Lord of the Rings. Of course, those increased costs also provide increased value to customers. As mentioned, Prime members have access to 100 million items eligible for two-day shipping. What's more, a lot of those products get delivered even faster. And now, in select cities, customers can get free grocery delivery from Whole Foods (perhaps a nationwide rollout isn't too far behind with the price increase). Prime members also receive a discount on Amazon Music Unlimited, or they can listen to a smaller selection of songs for free. They get access to Twitch Prime, offering an ad-free experience and a free monthly subscription to a single channel as well as free in-game loot. The quality of Amazon's streaming video content also continues to improve. Amazon Original films are winning awards, and it offers a sizable selection of licensed films to boot. Even at $119 per year, it's still just $10 per month. Compared to other subscription services like Spotify or Netflix which run about $10 per month, Prime is still a great deal. If roughly half of Amazon's 100 million-plus Prime members are annual subscribers in the U.S., the company stands to add an extra $1 billion in subscription revenue over the course of the year just from its existing subscribers. And basically all of that will go to Amazon's bottom line. It's already done the work of increasing the value of Prime through higher spending (not that it's really going to slow down anytime soon). So, with about $3.9 billion in net income over the last 12 months, Amazon could've just increased its net income about 25% with one simple price increase. As an investor (and consumer), I would expect Amazon to reinvest most of that money into further improving the value of the service, but at least some of it will likely find its way to the bottom line. John Mackey, CEO of Whole Foods Market, an Amazon subsidiary, is a member of The Motley Fool’s board of directors. Adam Levy owns shares of Amazon. The Motley Fool owns shares of and recommends Amazon and Netflix. The Motley Fool has a disclosure policy. Will Walmart's robots make investors money?